ATF officials are calling the man ultimately responsible for the death of off-duty agent John Capano a “career criminal who chose to resume his life of crime” on the afternoon of New Year’s Eve, reports Wantagh-Seaford Patch. 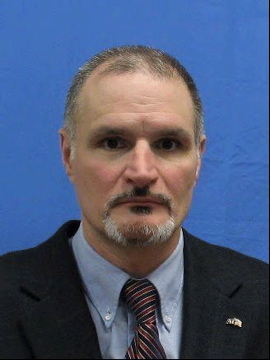 Capano, a 23-year veteran of the ATF and originally from the New York town of Seaford, was fatally shot when he tried to interrupt a robbery at a local pharmacy he had entered to pick up his aging father’s cancer medication. An off-duty police officer came to his rescue, but ended up shooting Capano accidentally. The lawyer for the off-duty police officer expressed remorse on behalf of his client, Christopher Geraghty, in a letter to the Associated Press. Geraghty shot Capano as Caoano wrestled with the thief, James McGoey, and is “devastated” by what happened, Patch reports. “Ultimately the responsibility for the tragic events that occurred on December 31, 2011 lies with the career criminal who chose to resume his life of crime,” said Joseph Anarumo, the Bureau’ of ATF’s special agent in charge of the New York field division. Posted: 1/9/12 at 9:15 AM under News Story.